Montreal's second count of the city's homeless population is underway this week. Over three days more than 1,000 volunteers will scour streets and alleys to tabulate the city's visibly homeless population. 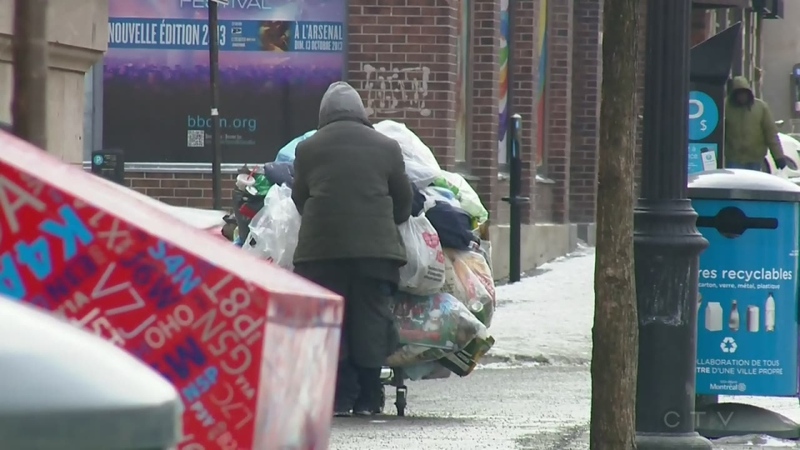 Eric Latimer, the director of the count, said the goal is to track Montreal's progress in getting people off the street, and determining who is among the homeless. "We're able to get a composition of the population which can help to provide specific services for certain groups such as for example like in Toronto, members of the LGBTQ community who are under 30 are over-represented in the homeless population," said Latimer. The city's first count took place in 2015 and it was an eye opener. For years estimates had put Montreal's homeless population at several tens of thousands of people, but that count determined there were 3,000 people without homes, with about 15 percent of that group living on the street. That count revealed that most people who are homeless rely on friends to provide shelter for a few days at a time before they move on. Often they cycle in and out of homeless shelters. Organizers say it's important to not only count the homeless, but to work with rehabilitation centres and shelters to get a clearer picture of what the community looks like in 2018. "The situation changes and when the situation changes you need to adjust your services," said Sam Watts, CEO of the Welcome Hall Mission.
" I cant tell you how often we're looking at the Mission at different realities and when we see something change we adjust so that we can serve the population better." Montreal mayor Valerie Plante said the count also creates a sense of community for Montrealers. "The second goal as I can see behind me is also to being Montrealers together because you can feel they have a big heart and they want to contribute they want to help - and often people wonder 'how can I help?' 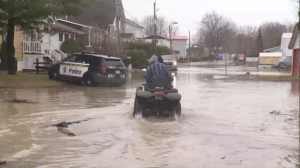 Well this is a great opportunity," said Plante. Among the volunteers taking part in the count on the first night were a father and daughter: Frank and Victoria Vela. The pair said they often see homeless people during the day, and decided to take a small step to help them. "We ride the metros all the time," said Frank. "We see that there is a significant amount of homeless people in the city and winters are particularly tough so if we can do a small part to help then we're there. And that's why we're here."